King Power Alinghi (48mm) in microblasted black ceramic and moulded black rubber comes in 6 relief black PVD H-shaped titanium screws. It has crystal Sapphire with interior/exterior anti-reflective treatment. The Alinghi logo is at 9 o’clock. The hands are satin-finished microblasted black nickel with black SuperLuminova™. 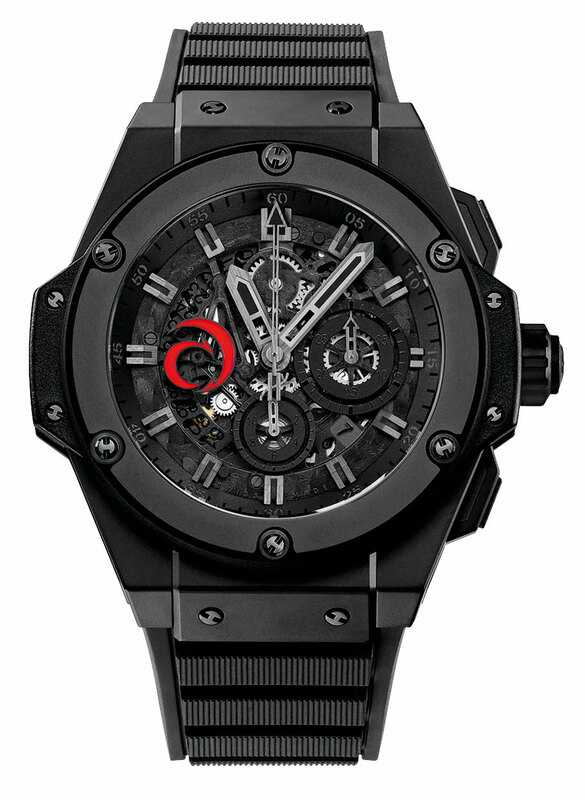 The mechanical skeleton chronograph is endowed with automatic winding, carbon bridges and possesses calibre Hublot HUB4400. The model is in limited of 333 pieces numbered from 01/333 to 333/333. 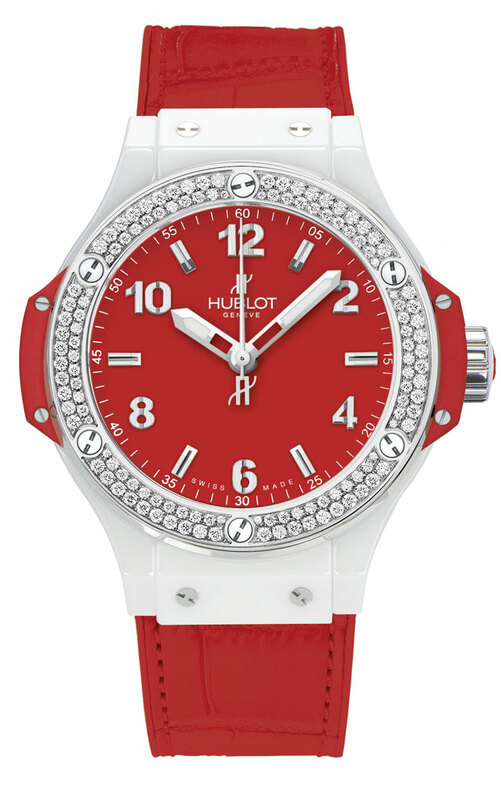 A crimson dial (38mm) decorated with a diamond bezel, a white ceramic case and an alligator leather and rubber strap. A gift that says more than any poem, a dress watch that proclaims love better than any words! 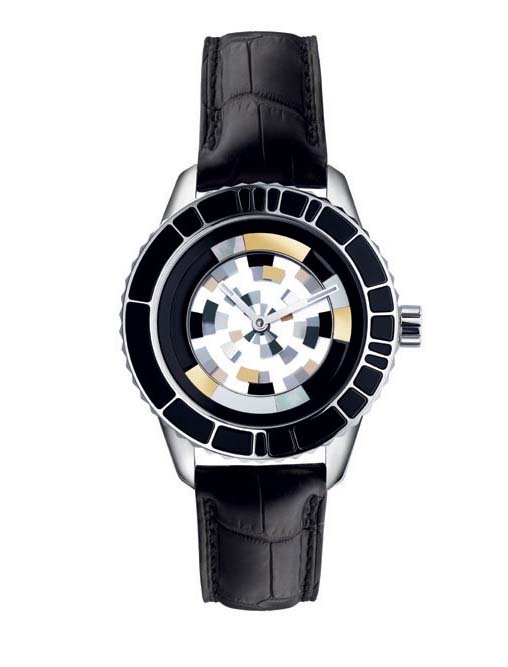 A quartz movement watch, its hands are Rhodium faceted, diamond-set with white luminous markings. 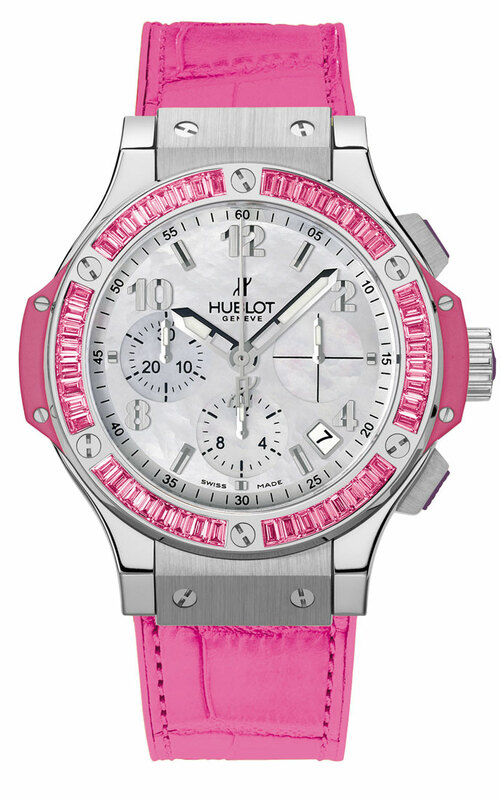 The new Big Bang Tutti Frutti (48mm) features fine mother of pearl, which gives it a particular elegance. This is emphasised by its satin-finished case surrounded by pink sapphires, and the alligator bracelet that accentuates its distinguished allure. An undeniably exquisite watch, it exudes a sense of masterful restraint. The hands are faceted, diamond-set, luminescent white, seconds hand with H-shaped counter weights This mechanical chronograph watch comes with automatic winding and Hublot Calibre HUB4300. Available at Johnson’s Watch Co A-12 South Extension, Part-I, New Delhi 110049, and Watches of Switzerland 231, Link Corner Building, Shop no.2, Linking Road, Bandra(W), Mumbai 400050.